Being on stage and behind the scenes is part of the joy of the season and of every day for Cleveland, something that hasn't gone unnoticed by Harry Parker, chairman of Texas Christian University's theater department, who is directing Cleveland in An Act of God. "Clearly, the theater is B.J. 's life," Parker writes in an email. "In some situations, I might be somewhat concerned about working with an actor who had to learn as may lines as B.J. does in An Act of God, while simultaneously working on other shows, but he really seems to relish it. No one works harder, and B.J. puts in full effort and concentration. Somehow it never seems like drudgery on him; rather it seems like his lifeblood." An Act of God turned out to be that extra, originally unplanned-for offer that he couldn't refuse. 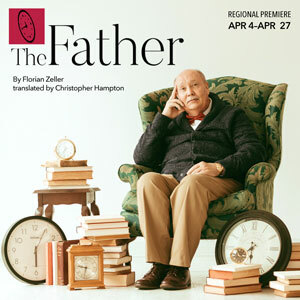 The play, which began as a series of tweets that Emmy Award-winning comedy writer David Javerbaum turned into a book and then a play, opened on Broadway in 2015, with the concept that God is returning to Earth in the form of a comedian, for one performance only, to clear up misconceptions about his message. The show requires a larger-than-life performer who can at once be himself and convince audiences that God is speaking through him. Jim Parsons, of The Big Bang Theory on CBS, starred as God on Broadway in 2015. The show returned to New York for a limited engagement in 2016 with NBC's Will & Grace star Sean Hayes. "It's thought-provoking and hilarious, a once-in-a-lifetime role that you can't turn down," Cleveland says. "It's exciting and challenging and frightening to do what's essentially a one-man show, with two archangels."